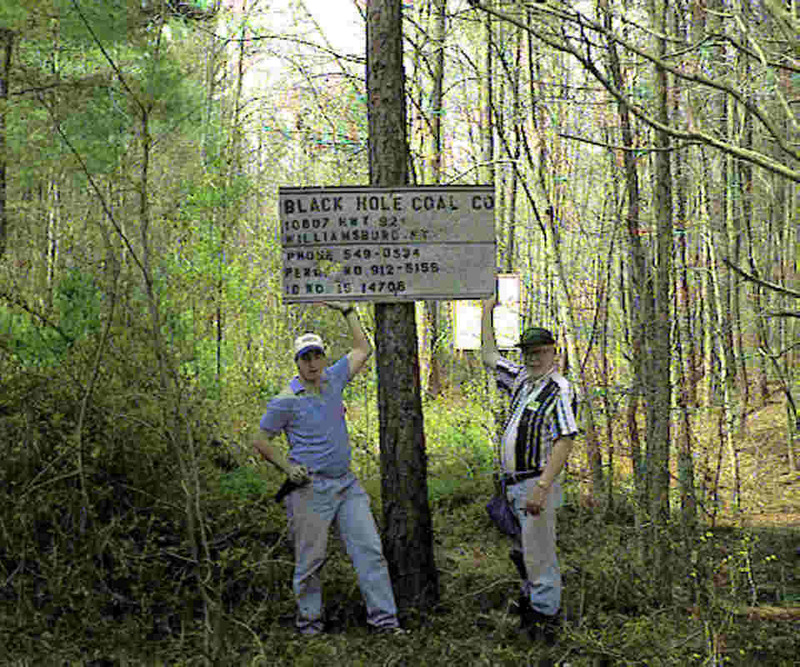 This is a picture of an April 1999 expedition to a deserted Coal miners shanty town in Kentucky. Pictured are my son Michael and noted Fort Wayne, Indiana Historian the late Gerry Thompson. The hunt was a bust because of rework of the original site. The site was a 'hearsay' location with no documented plats or accounts to research. However, overall it was quite a trip with regard to the understanding of what the coal operation and lives of the miners of 100 years past, were like. The drive back through the storm ravaged Midwest was difficult but a real life tutorial on collectibles. Gerry Thompson passed in November of 1999. He was eulogized in the Fort Wayne papers as a great Fort Wayne historian. All of the members of the Miami Valley Treasure Hunters Club were deeply sorrowed by his loss. Gerry was a source of information like no other. His ability to look at a mysterious find and identify it was uncanny. No one was ever stranger to Gerry, we've missed him. As I’m updating the site, the young guy in the picture will be making his first approach into O’Hare International tomorrow in a twin engine Beech turboprop. A lot of treasured memories in this picture. Send your 'best find' to be seen here.